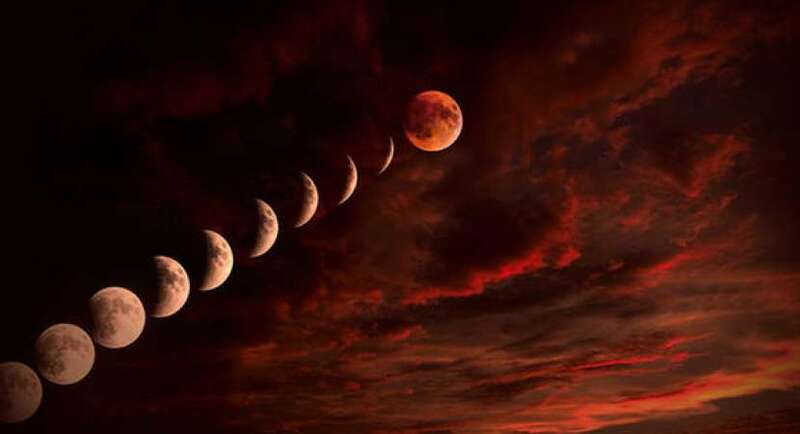 By now you’ve probably heard the upcoming Aquarian Lunar eclipse will be the longest of the century. The Moon will go dark for an hour and forty two minutes. During darkness is when most of the magic occurs. I’m assuming the cosmos needs extra time to re-route some very old, very fixed, psychic patterns and arrangements. We’re under the influence of a total Lunar eclipse in the revolutionary sign of Aquarius. The impact could be especially consequential, unexpected, and freeing, with consequences that extend far into the future. 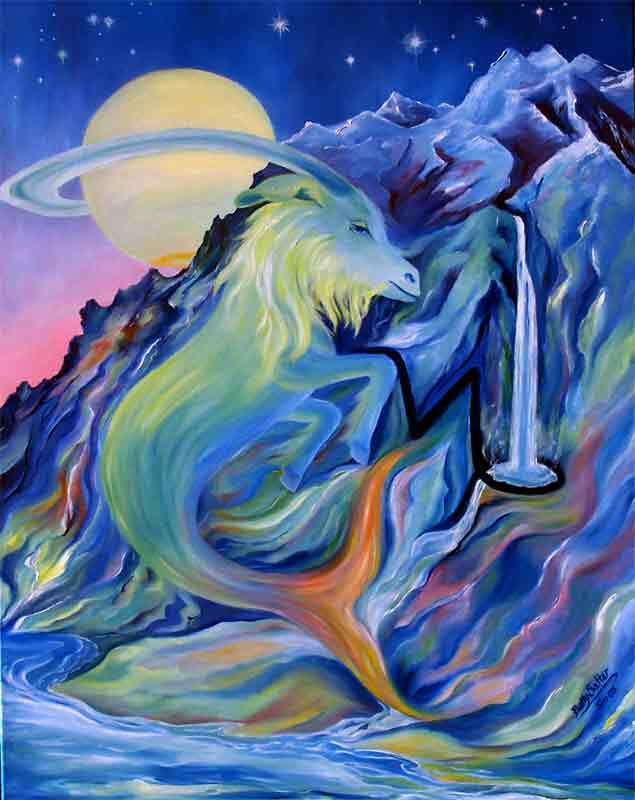 Aquarius is an air sign. It’s known for detached thinking, the generation of ideas, and sudden flashes of insight that can profoundly change or reverse the course of events. Don’t be fooled though. This is an incredibly emotional full Moon – on steroids. 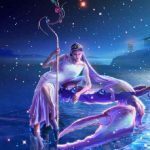 Aquarius is known for moving to extremes and what you feel may be extreme – even if (and maybe especially if) you are the cool, collected, “under control” type. This eclipse is related to a lunar eclipse that occurred in the Summer of 1999. During that time it’s likely there was extra strain on relationships as a result of something unexpected Having the rug pulled out from under you – or maybe from under your partner if you were in a relationship – changed the nature of your options and maybe in some regard “locked you in.” Additional pressure was applied from outside groups, associations, or “friends” you depended on. The facts were murky. Most likely there was a delusional or secret component involved. Distortions loomed large. But quick decisions to re-establish a sense of stability and hope seemed necessary. Complicating things was a sense of exhaustion, burn out, or maybe poor health. 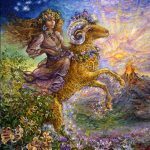 This total Aquarian Lunar eclipse impacts relationships as well. 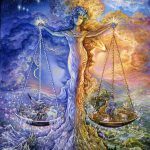 The tightest aspect in the Eclipse chart – other than the Sun/Moon opposition that occurs at every full Moon – is the Venus/Pluto trine. 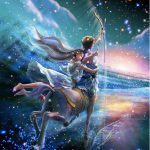 Retrograding Pluto and a wildly out of bounds Mars at a technical declination extremes – account for profoundly life-changing effects. Endings and separations are a possibility. But the results seem positive. It is likely you will accurately assess the situation and do what needs to be done without hesitation. A radical change may be necessary to create the space you need to survive and thrive. What’s ending needs to end. If oppression is involved (often self-inflicted) it needs to be overthrown in the name of freedom. 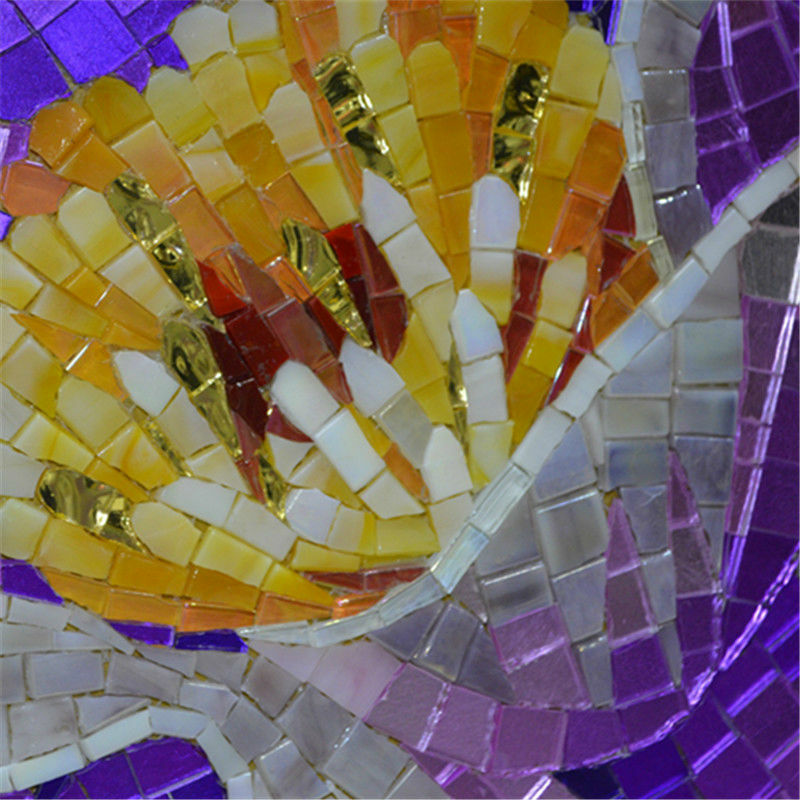 The story of Persephone “Queen of the Underworld” is intricately woven into this eclipse. Persephone was kidnapped by Pluto and initially forced into the underworld. Her mother, the goddess Demeter, was heart-broken. Eventually things evolved to the point where the only option was for Demeter to broker a deal with Pluto. It involved time-sharing. According to the deal they struck Persephone would live with her mom for half the year and with Pluto the other half. 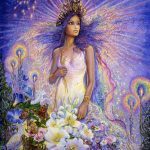 Ceres (moms, mothering, security) and Juno (commitment and/or marriage) are likely to be highly influenced by the energy of this eclipse. A transition that creates distance, and the need for an emotional adjustment to that distancing, is implied. The independence you fear may be life saving in some regard. But letting go of something you’re deeply attached to might feel like splitting yourself in two. Living in two different worlds and making it work may be the challenge. There is a Shamanic flavor to this eclipse. In some regard we trespass into forbidden territory, testing our personal limits by exploring them. 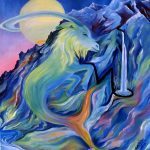 Exciting adventures in the secret “underworld” give us a glimpse of powerful networks, sexual sub-currents, and secret magical “formulas” stored within the subconscious mind. 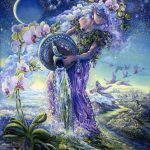 The Moon represents our ability to participate in life, to choose roles and responses that harmonize with the soul and facilitate graceful adjustments to actual unfolding events. “Graceful adjustments” are ideal but not always possible without freedom and a degree of mastery over ourselves. Being attuned and aware enough to sense when it’s time to spring into action and when it’s time to ride the wave is a skill learned through experience. Your skillfulness in that regard may be revealed under this eclipse. Protecting the interests of the your soul are paramount as you navigate through life. The Moon defines the quality of energy our participation seems to reflect. 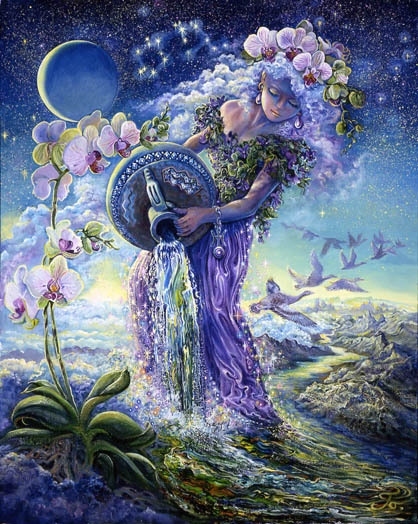 At the moment, Aquarius is having an outsized influence. 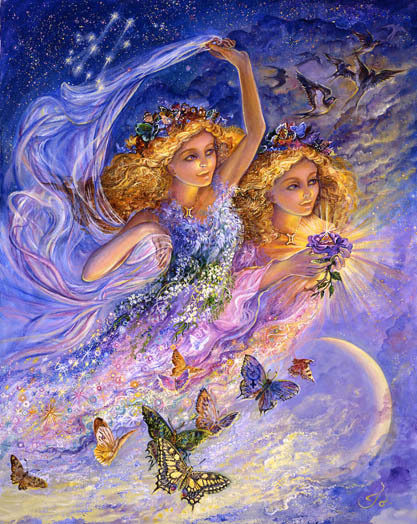 Under an Aquarian Lunar Eclipse aligned with Mars sexual freedom and freedom in general is promoted. Justice fairness, tolerance, and resisting oppression (sometimes self-imposed) are heavily weighted as we make the decisions we make. A radical departure may be necessary. That would most likely be triggered by out of bounds behavior, a series of enlightened realizations, and maybe the willingness to ride a wave and acquiesce to the longings of the soul. 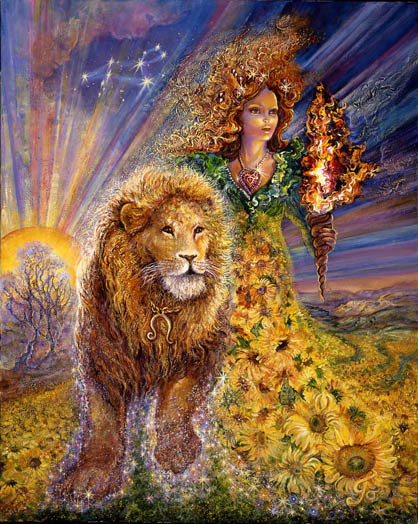 An Aquarian full Moon, being what she is, is likely to protest, to get radical, to organize massive efforts, to fight for an idea or cause, to explode old blockages, and to create progress in the direction of freedom. Endings seem permanent. 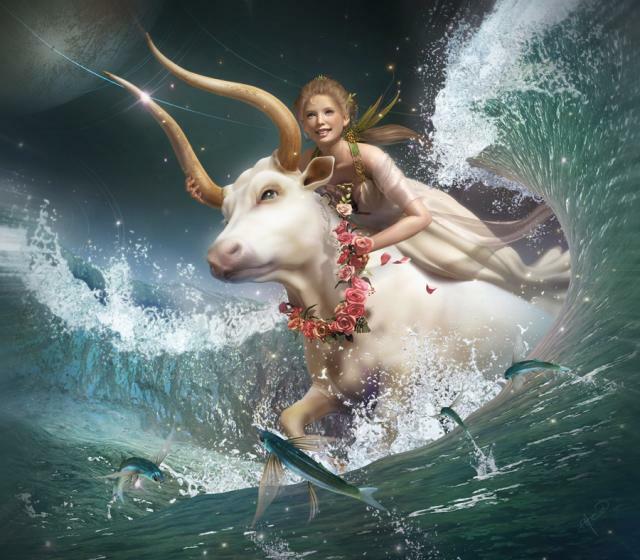 Aquarius is not in the habit of looking back – though now is a time when I might be a little less sure of that with five planets plus Chiron moving in retrograde motion. 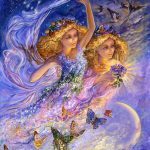 This is a time when through creative immersion, imaginative writing, or art, we’re able to make great progress in achieving psychological integration. Amazing new potentials within one’s self take hold – possibly through intense concentration or a powerful spiritual practice. My 3rd house Jupiter would like to expound on that, but I think it’s powerful enough to stand on it’s own. This eclipse kicks into high gear in the “love/receptivity-to-love” sector of your solar chart. 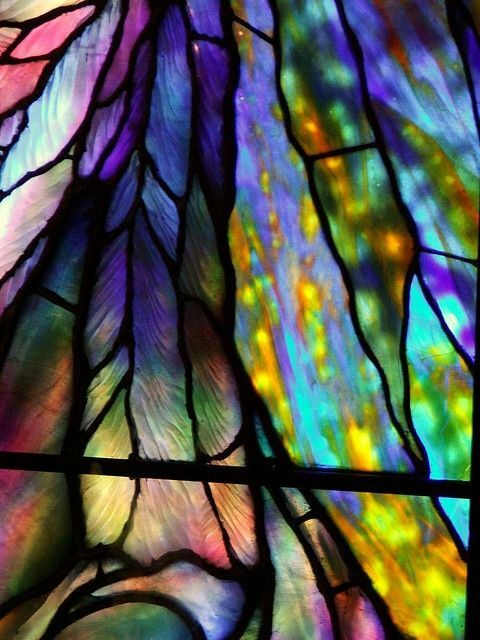 Something radical with regard to breaking through old blockages and a fearful resistance to love is taking hold. A pattern of impulsively blocking any love that hasn’t conformed to the presentation you prefer may be breaking apart. Opening your heart, as difficult as that may feel, sets you free. It seems you’ve come as far as you can go resisting love in its many forms. You know all the tricks including spending time with those who are not available, magically thinking they will change, reform or otherwise fit your exception of the perfect lover. But things may be changing quickly. You may be testing the waters with a new and different approach. A more patient and flexible part of you may have come into play. An expression of courage is setting you free. Courage is required. This may be your personal equivalent of “walking out of the crypt and into the sunlight.” It’s no small feat if you think about what you’ve had to overcome or are about to overcome. 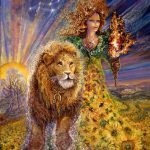 Chiron, the wounded healer, is working overtime to undo old patterns and sources of limitation. You are being healed in a way that may facilitate your own ability to heal. The fourth and tenth houses of your solar chart are highly activated under this eclipse. These represent the your life direction and the foundation you have set in place to support a satisfying move in the direction you want your life to go. An old love or approach to love may have run its course. A break or separation may be needed to set you free to steer your life in a new, more exciting direction. Something deeply embedded may not want to let go. 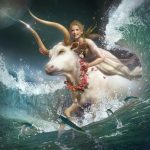 It may be that traditional Taurus stubbornness that works so well for you in most situation. 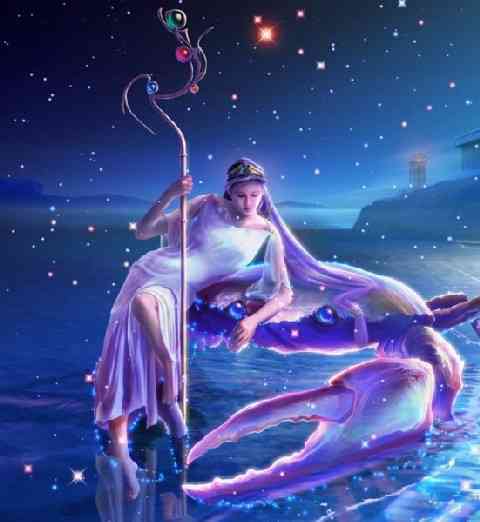 But Aquarius is really challenging some inflexibility and the truth that not all things are meant to endure. If you feel the need to wrap things up or to come to a final resolution, it’s time to set that in motion. What’s at stake is your ability to contribute to the world the enlightened form of leadership it craves. A settled, familiar way of life is being undermined for good reason. A more enduring and reliable type of love stands waiting in the wings as you actively create the space for it. The 3rd/9th house axis of your chart is highly activated under this eclipse. Your rational mind may be at odds with your beliefs. A separation may be widening between the “facts on the ground” and your philosophy of life – how you believe life should be lived. Practicing what you preach may be especially difficult as your not sure what to believe. Pride may be an issue. Pluto is forcing a big concession, maybe in the form of a separation from something that has historically provided stability and comfort for you. This looks painful in the short run. In the long run it’s your ticket to surviving and thriving in an environment free of oppression. There’s a lot of complicated stuff going on beneath the surface. A lack of trust in yourself may be the ultimate issue. Push is coming to shove. It seems your at the end of the road. Toxicity might be setting in. It’s time to ask yourself if the time is right for the radical change you’ve been resisting for awhile. 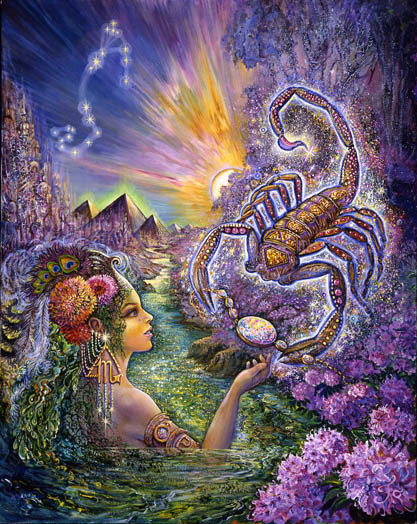 The Taurus/Scorpio axis of your solar chart is highly activated under this eclipse. Trust and the lack of it may be an issue. 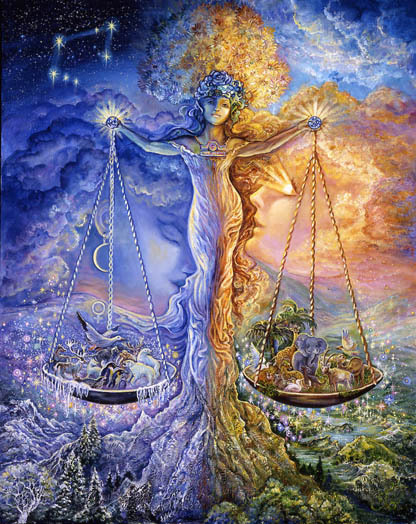 The need to deepen and solidly a bond, as well as to equalize and balance what you put in with what you take out may be a source of heartbreak and/or rage. Financial partnerships may need to be re-worked. Sexual problems may need to be unraveled. The lack of trust may need to be addressed. But it seems that secrets, corruption, and /or inflexibility may continue to undermine. Ultimately you may need to force a separation from something deeply oppressive or limiting. Maybe you’ve come as far as you can go without some major concession or release from an old attachment. 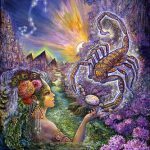 Scorpio wants to go deeper but a foundation shaken by a lack of trust may need to be demolished so that something more solid and sustainable can be set in place. It’s time to get real about the nature of your relationship (relationships) and to push back strongly against the urge to compromise or settle. Major transformations within the realm of relationships are never easy. But as major transformations go, this may be the easiest time we’ve seen in a long while for something long overdue to take hold. Something involving your work life or health is in need of profound change – not the superficial tinkering around the edges that might pass for change, but something that uproots the fear that is the basis of your approach to work. Something deeply ingrained that feels like over-control or over-work is promoting an imbalance. It may be time to ask yourself when will it be time for a radical departure from your traditional approach to work. The answer may be now. There is something oppressive operating within the realm of your relationship with yourself. Ultimately it seems unsustainable. A separation or compromise may be in order. It’s time to be proactive or eventually the decision will be made for you. It’s time to consider that inflexibility may not be your friend. It seems time to reconsider the need for a greater sense of self-awareness and the passage of time. The Cosmos is working in your favor in this regard, presenting you with something unexpected that challenges you to sink or swim and to create a breakthrough for yourself. You’ll swim but something will be reconsidered. Some backtracking will occur as the result of a wake-up call. The lights are turned on in your 12th house of dark mysteries, loss, hidden things, and death. Something forces a re-evaluation of your current approach and methods, how you choose to spend your time and energy, and how comfortable you feel delaying pleasure, dreams, and the lifestyle (or love) you truly desire. There is some fortunate reordering of priorities that may occur. A financial compromise may be reached. A softening of your stance within the realm of relationships works well for you. A creative breakthrough may be imminent. But the masses, the community, groups, and friends, may not approve. Pride is an issue. Your kids may be rebelling – or the child within may be rebelling. Something feels too tight and constricted. Expectations are high. You may need to decide whether to give in to the traditional pressure of a powerfully or well-connected group – at your own expense – or to set yourself free to develop a strain of brilliance that runs through you by embracing a traditional foundation. Your approach to love and creativity (self-love) needs more space. A radical break from old patterns of compromise may be in order. You may need to move, to end a relationship, to take a financial hit, or to sensitively respond to an instinct or revelation that shows you the “through-line” that could result in a win/win. It seems undeniable that letting go of a tendency to evade, avoid, delay and obfuscate is necessary. Facing reality allows you to be more useful to yourself and others – especially when pivotal decisions or new agreements need to be made. Highly activated are your 4th and 10th solar houses. This represents the private, personal areas of your life and the most public. It represents your career and the foundation of your career, your most fundamental needs and your choice of life direction. Something that is feeling increasingly oppressive can now be confronted. A major transformation that involves mastering your fears and using the dark and frightening material that flows through your mind in a way that gets you noticed seems timely. Your relationships with groups and friends looks like it’s in the process of transformation. You may meet someone (an ally) who becomes a pivotal influence over your life direction. Anger may set you free to walk out of the crypt and into the sunlight – in whatever way feels best to you. It does seem timely to blow up an old foundation (figuratively speaking) and to put a new, more solid and supportive one in place. Your unfolding potential requires it. There is something about your daily routine that may feel stultifying – or at least a little oppressive. There seems to be some limitation involved when it comes to expressing your adventurous side. Money, lack of it, or some fear surrounding it, may be the culprit. It is time to revive some passion and excitement regarding your expansive need for adventure and travel. 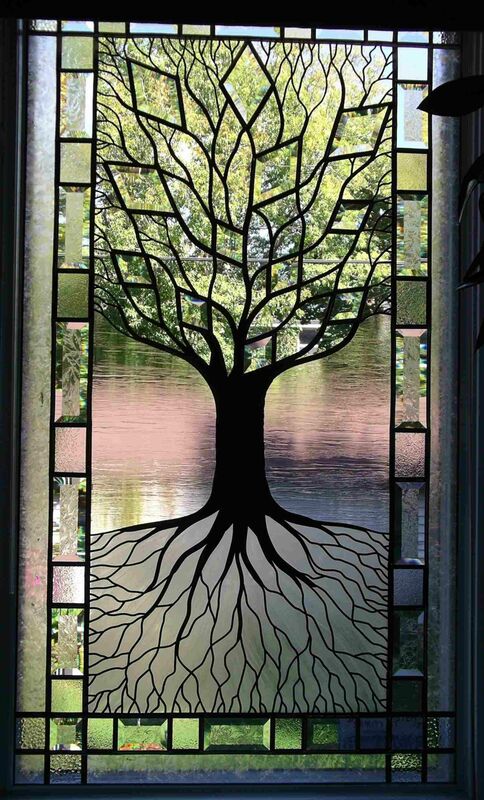 Cultivating visions that shape your future is a natural talent. It’s time to kick that into high gear. Actually it looks like it’s kicking into high gear on it’s own. You might just need to flow with it. Your efforts might involve dealing with the practical world of money in a way that’s different from your usual approach. Instead of flipping into fear, and a belief that you can be limited by lack, or those who have leverage over you, you might want to take more control. Working with talented financial professionals and those who can facilitate and accelerate the manifestation of your vision seems wise. Now is a fortuitous time to become passionately involved in waking up the parts of yourself that remain a mystery to you, hidden from view, and nonexistent from your perspective. You remain an enigma to those closest to you and to the world – a person prone to hiding himself from himself, censoring before considering personal information that feels threatening to the version of yourself you prefer. Under this eclipse it can all begin to feel very restrictive and oppressive – to you and to those who love you. Something robotic, repetitive, and overly-controlled may be emerging. It seems the time is right to stage some kind of a rebellion to allow for something more spontaneously responsive and human. I don’t know exactly what to suggest. An incremental but committed approach seems wise. A spiritual practice that allows you to slip by your ruthless inner censors, might be helpful. Entertaining a truth about yourself that feels imperfect or irrational and noticing that it doesn’t kill you but actually sets you free, could be encouraging. You may be holding yourself and a relationship hostage. It’s time to give yourself and the relationship more safe space. You may be ready to move beyond the current confines of your relationships with friends, lovers, and committed partners. A breakthrough is needed that might involve a joint sense of purpose. Pulling in opposite directions may be getting old. But agreeing upon a life direction that might inspire and encourage others, long after your dead and gone, could infuse new life into the current scene. It’s good to ask yourself what you would like your joint impact to be. What are your individual strengths and talents and how can those be combined to create a force that reflects your relationship. There is something more to be considered. Some kind of self-sacrifice may be required for the greater good. There is something about the way you operate you in a relationship (and in anything) that seeks to serve humanity in an enlightened way. Now may be the time to figure out how you might do that. 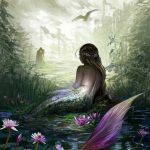 Pisces just needs to cry for awhile – maybe a long while, to give into rivers of tears, to fully immerse themselves in a massive purge of feeling that has been controlled but now needs to flow in a torrential downpour that destroys something oppressive and limiting. Emotional control should not be your goal under this eclipse. You can cry in response to your own situation but also for the world and the collective. If you must you can think of this as a form of service to the masses – for all those who feel incredibly sad but don’t have the luxury of expressing it or can’t seem to find the inner freedom to let go and dissolve into their grief. For Pisces crying seems to be the dominant focus under this eclipse. If you’re not sad then find something so exquisitely beautiful that it brings you to tears. Compassion for yourself during this time sets you free to see the truth of your current dilemma. Life is bigger than you, your role, your beliefs, and ideas about the way things should be. Life is the way it should be. And chances are your circumstances are perfect for directing you into the next evolutionary leap toward ultimate freedom.